Looking for a reliable and fully licensed local company to take away your Epping CM16 rubbish or junk? Look no further! Away With It is one of Epping’s leading waste removal and rubbish clearance companies. We have been providing waste removal services to businesses and residents in the CM16 area for more than a decade. During that time we have built up a large and loyal customer base in the local area based on our reputation for fast, friendly service at competitive prices. Speak to us today about our fast and reliable waste removal services in Epping CM16! Epping or “Epinga” was first mentioned in the Domesday Book of 1086. In 1253 King Henry III granted the right to hold a weekly market in Epping Street which helped to establish the town as a centre of trade. During the 19th century Epping was an important stage coach route with up to 25 stagecoaches and mailcoaches a day passing through the town from London to Norwich, Cambridge and Bury St. Edmunds. The George and Dragon and The Black Lion are the last two surviving coaching inns. The 14th century chapel of St John the Baptist in the High Road was rebuilt and became the parish church of Epping in 1888. The large tower was added in 1909. Epping was home to the first ever Clinton Cards shop which was opened in 1968. Theydon Bois was named after the family of Bois (de Bosco) which held the manor in the 12th and 13th centuries. The famous ‘Avenue of Trees’ which lines Loughton Lane was planted in the 1830s to celebrate the coronation of Queen Victoria. Notable Epping and Theydon Bois residents have included Sir Winston Churchill, who was the local MP from 1924-1945, the millionaire publisher and co-owner of West Ham United Football Club David Sullivan, the footballer and ex-England manager Glenn Hoddle, the singer Rod Stewart and actress Jessie Wallace. 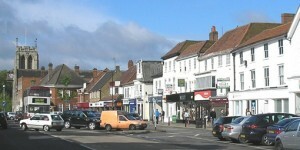 http://www.eppingforestdc.gov.uk/ – Local council website for Epping and Theydon Bois. http://www.eppingtowncouncil.gov.uk/ – Local authority website for Epping. http://www.guardian-series.co.uk/ – Local newspaper for Epping, Theydon Bois and the surrounding area. 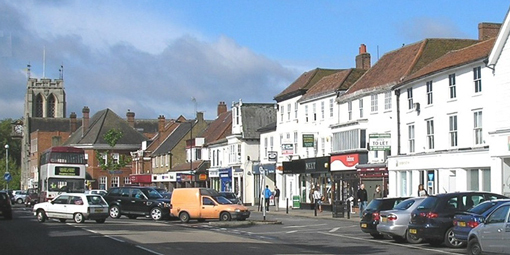 http://www.epping-life.co.uk/ – News and information about Epping and Theydon Bois, including a thorough directory of businesses and services. http://www.eleanorlaing.com/ – Your local Member of Parliament.